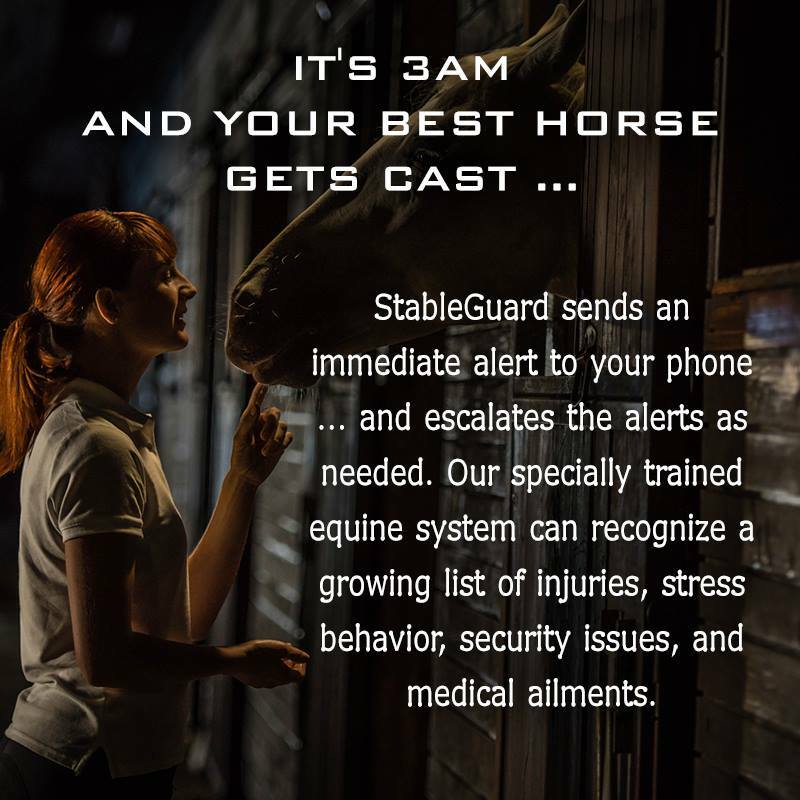 The world’s only artificially intelligent 24/7 mobile device monitoring and alert system notifying horse owners of distress, security issues, and horse-specific wellness trends. 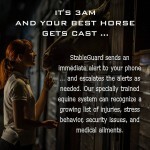 COMFORT – On a cold night, StableGuard knows that the horses have not been blanketed. Set custom temperature settings and alerts that your horses need warmth. StableGuard will let you know if the blanket straps come loose. SECURITY – Wondering if your stallion will find a way out of his stall tonight? 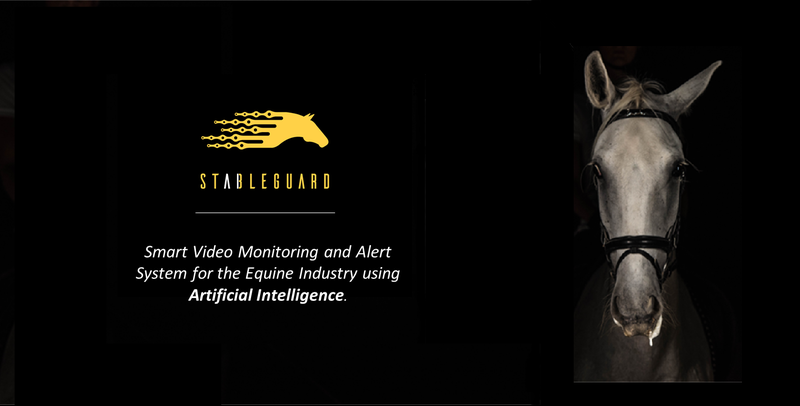 StableGuard will track your horses’ entry and exit from the stall. How about unknown people slipping past your staff? Configure StableGuard to recognize safe staff and clients, and immediately notify you of strangers. NOURISHMENT – It’s been eight hours and your horse hasn’t had a single drink of water. StableGuard knows the water bucket was filled by your staff hours ago. Thanks to StableGuard, you can see trends over time for food & water delivery, consumption, and evacuation log with duration since last observance. 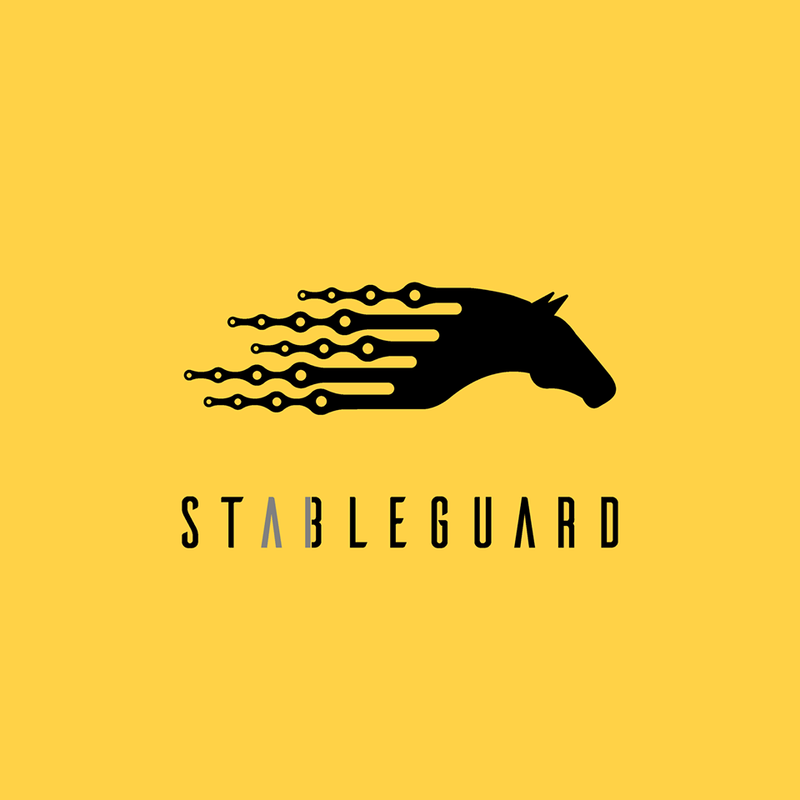 Set alerts to be notified if StableGuard recognizes a potential issue. 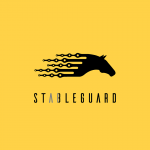 SEE OUR WEBSITE FOR ADDITIONAL DETAILS ABOUT STABLEGUARD!